EA Sports has taken a monumental step in the basketball gaming landscape by adding female models to create-a-player. While this was already added the NHL series in NHL 18, there hasn’t been a female option in basketball. 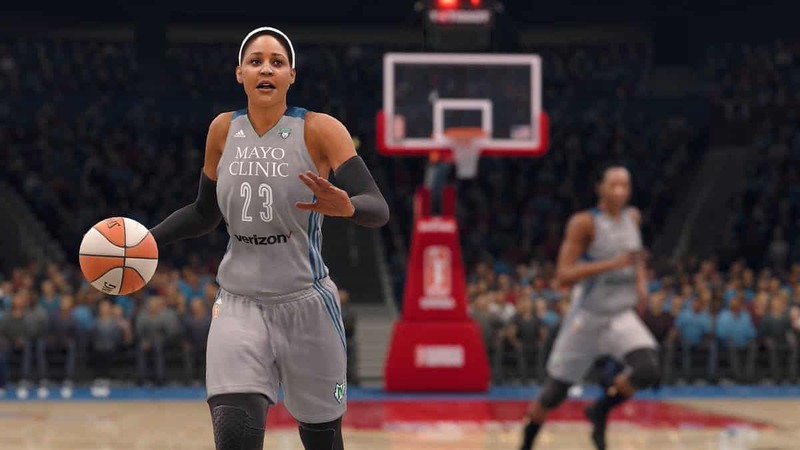 Gameinformer reports that gamers who opt for the female create-a-player can create her in The One and go through the same progression as male players. They’ll be able to run The Streets and hit up the famous outdoor courts we reported on like Rucker Park or the Drew League. You’ll earn the unique gear and rewards. There’s one thing missing: your player will not be able to join the WNBA. “In the original designs, we wanted to have a professional path for the female characters to go into the WNBA. But we took on a whole new mode and all this other stuff, and we just ran out of runway to get to that mode. But it is in our future plans. It’s something we want to deliver on ideally in the next version or after that.” – NBA Live 19 Creative Director Ryan Santos. Next articleWhich Madden NFL 19 Edition Should You Buy?